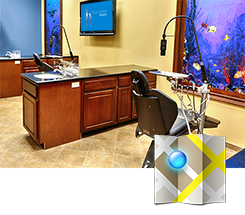 In-Ovation C is an artistically advanced, scientifically enhanced ceramic, self-ligating bracket system. It offers patients a faster, more comfortable and attractive treatment option. The comfortable shape, small size and advanced design provide a pleasing treatment option for young people and professionals. With traditional twin style braces you can blend in with gray ties or show your flare with colors! The In-Ovation C system is self ligating which means there is no need for those clear elastic ties that easily discolor. 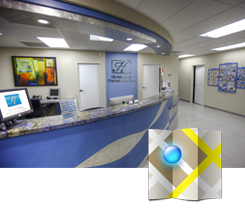 In addition, self-ligation uses a free-sliding technology that place is almost no pressure on the teeth as it gently corrects their alignment. Less pressure means more comfortable treat. With In-Ovation C free-sliding braces, treatment can proceed faster with fewer adjustment visits than with traditional braces. 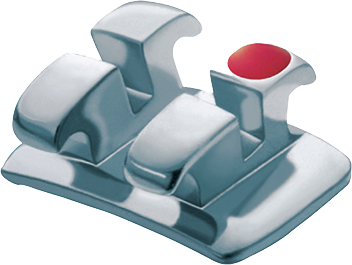 MicroArch® is approximately 30% smaller than traditional style brackets. MicroArch is attractive and subtle in appearance to help you feel more confident and self-assured while in treatment. The system’s low profile and ultra smooth finish ensures patient comfort and helps you better maintain good oral hygiene. 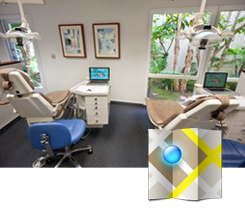 Best of all, MicroArch enables you to get a beautiful and healthy smile comfortably and less noticeably than before. MicroArch brackets are made using aerospace-quality steel. This means that while MicoArch appliances are very small, they are actually stronger than brackets constructed from less expensive materials. 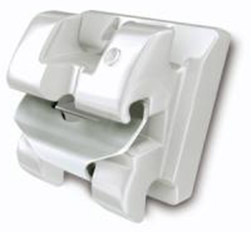 This same attention to quality is reflected in every aspect of this bracket’s design and manufacture.